We can help you set up a nonprofit foundation, or link your nonprofit up with a figure from the sport or media world. 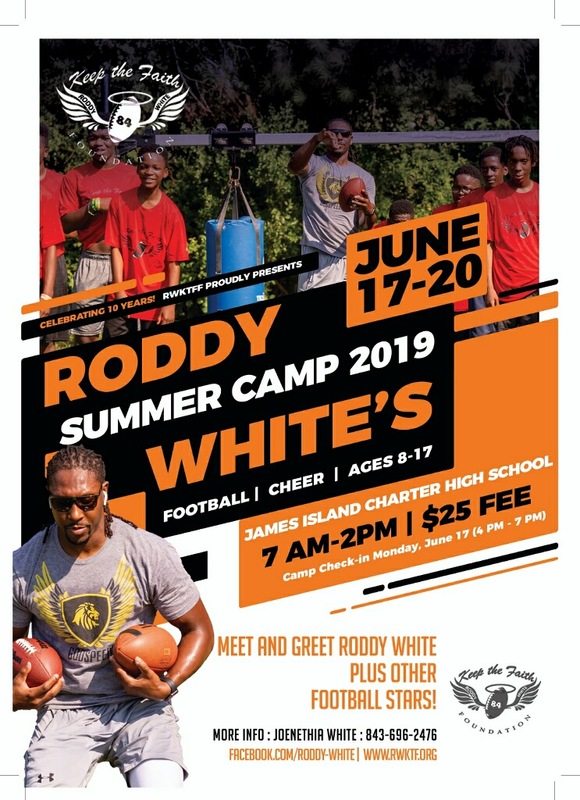 Roddy White Keep The Faith Summer Football Camp is a camp located in the Lowcountry of Charleston, SC, on James Island, with a heritage that dates back to 2000. Roddy White Keep The Faith Summer Football Camp shapes the lives of our campers and helps them grow and develop as individuals. Roddy White Keep The Faith Summer Football Camp offers an experience filled with fun, friendship, learning, and football! © 2018 ESC. All Rights Reserved.